If you need some inspiration to raise money we have lots of ideas in addition to the ones listed below. You can down load our Fundraising Support Pack or contact our fundraiser who would be only too happy to help you. Whatever you choose to do we would love to hear from you. A – Auction of Promises. Get friends to pledge a skill and auction them. M – Matched giving. Ask your employer to match the money you’ve already raised and double the cash. B – Breakfast or a Buffet Lunch. Invite friends to come along and ask for a donation. E – Exhibition. If you are an artist hold an exhibition and charge to get in. R – Recycle unwanted mobile phones and used ink cartridges for Amber. Click here to register. Do you shop online? 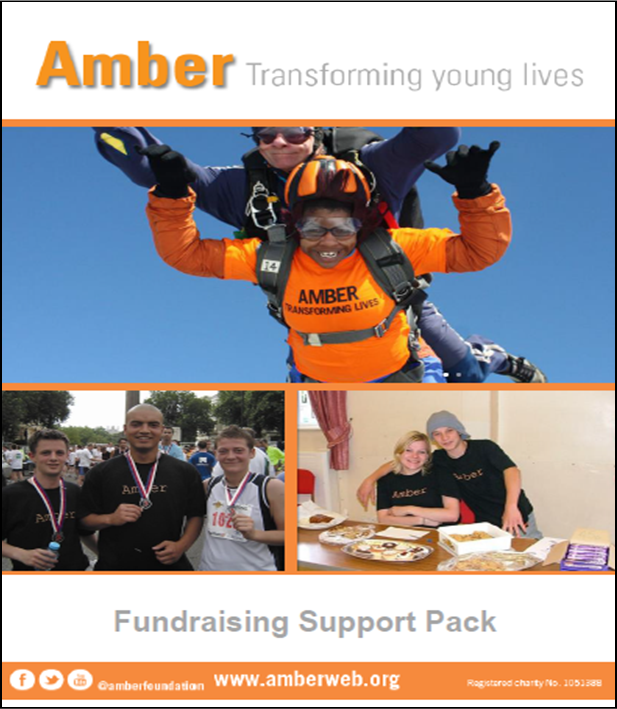 Do it through easyfundraising.org.uk and raise a free donation for Amber every time you shop. There are over 3,000 shops and sites on board ready to make a donation, including Amazon, John Lewis, Aviva, Trainline and Sainsbury’s – it doesn’t cost you a penny extra! Just click here to sign up for free. Or turn your old car into cash for Amber. Fundraising organisation Giveacar will arrange collection from your home address and then either sell your car at auction or scrap it and a large proportion of the proceeds will be donated to Amber. Contact us to start fundraising!